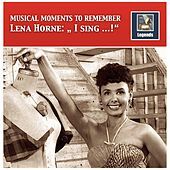 Lena Horne has always been a wonderful popular singer who knows how to swing or get the blues. A raging beauty in a racist country, she was known for singing standards in a defiant, borderline angry tone. You can often hear a vinegar sting in Horne's delivery, but that element of her tone has been overstated by critics -- she can sound like a wounded lamb as well as a snarling lioness. Horne began at the Cotton Club, singing with numerous top Swing bands. 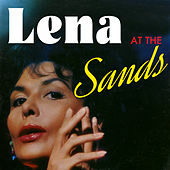 While much of her time was wasted on a contract with MGM, she spent decades recording and touring the world with her husband and musical director, Lennie Hayton. Horne made a series of outstanding records on RCA during the 1950s and early '60s, on which she was often backed by the charts of such Cool Jazz modernists as Marty Paich and Shorty Rogers. Horne's recent recordings with Blue Note are well worth hearing and stand up to her best material.